Officers of Binh Luc Police mobilize local people to promote movement to ensure security and order. 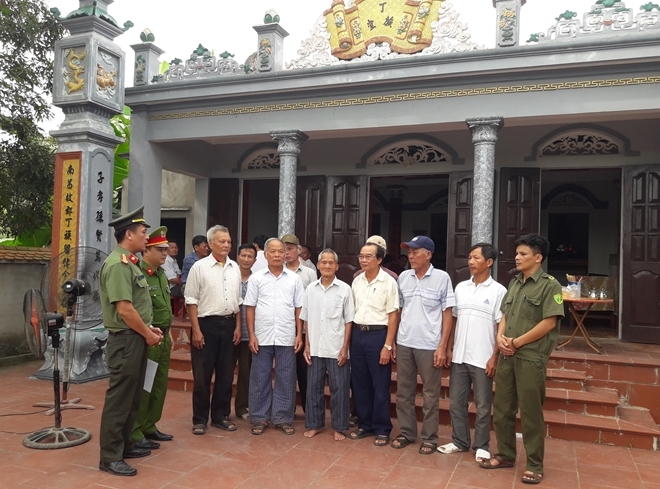 After a period piloting the deployment of professional police officers to 13 communes in Ha Nam province, the public order and security situation in the localities witnessed clear, positive changes, effectively contributing to local socio-economic development. Lieutenant Colonel Lai Tri Dung, Vice Head of the Investigation Police on Economic and Drug-related Crimes of the Kim Bang District Police, was appointed to the leader of the Commune Police Post of Dai Cuong on January 5; 2 other police officers were also posted to the post. Dai Cuong commune, Kim Bang is a locality complicated by drug crimes in Ha Nam. Taking over the new positions, the policemen faced various difficulties. So they advised the local Party committee and authorities to draw up plans to ensure local security and order. 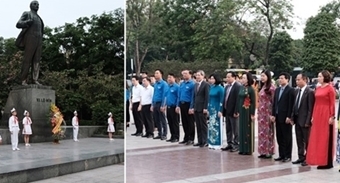 They also strengthened relations with local people to learn about their wishes and concerns as well as various complex issues in the area, and mobilize the people to support the police force in fulfilling their tasks. Chairperson of the Dai Cuong People’s Committee Do Ngoc Anh said that Dai Cuong used to be a locality complicated by drug-related crime and robbery before the deployment of regular police officers to the commune. Since then, the locality has become safer and securer while crimes and social evils have declined. According to leaders of the Ha Nam Provincial Police, the provincial police started to implement the policy of the MPS right after its announcement. Specifically, 38 professional police officers were deployed to various commune police posts.